Grow Strong! 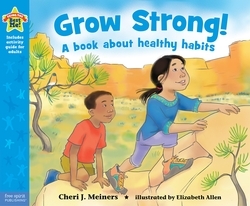 A Book about healthy habits is now available It focuses on habits that will help kids grow strong physically, mentally and emotionally. As my last book of this series, I hope this will teach and motivate children to eat a healthy diet, get exercise and take care of themselves.